Open House Wednesday, March 6th 8am - 4pm and again on Thursday, March 7th 8am - 2pm. Front row panoramic ocean views. 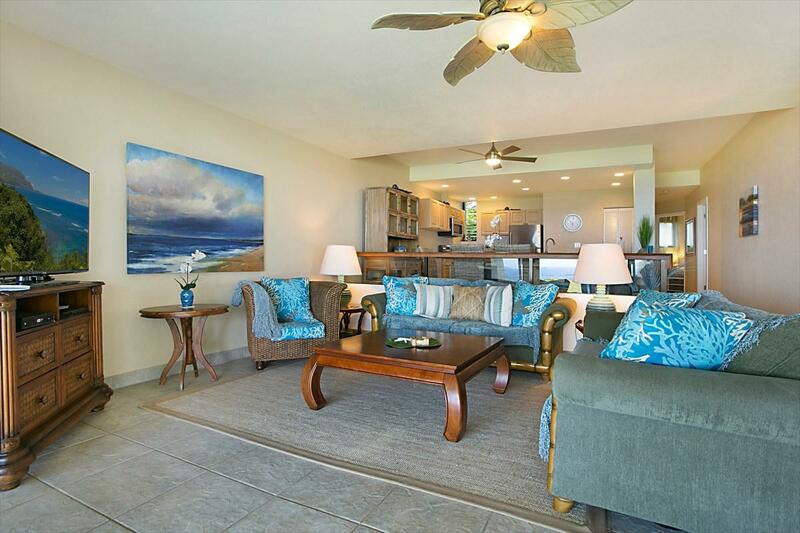 Puu Poa 102 offers exceptional indoor and outdoor living with brilliant ocean views from the kitchen, dining, living room, master bedroom and both covered lanais. 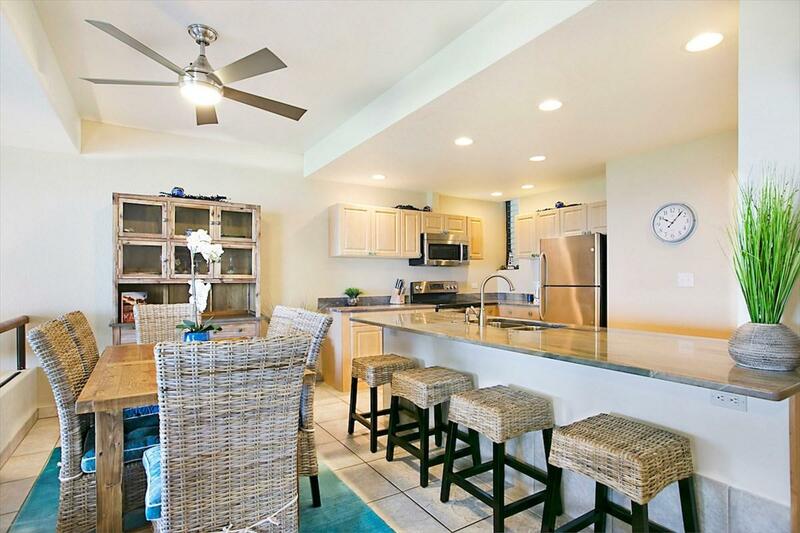 The tastefully decorated living, kitchen and dining areas share one open flowing space. Tile flooring & 9 ceilings throughout. The kitchen features wood cabinetry, extensive granite countertops, plus an island with sink and barstool seating. There are large closets as well as two separate lockable "owners closets for storage. Additionally, the unit has washer/dryer, high-speed internet, dual bathroom sinks, large walk-in shower and bathtub. 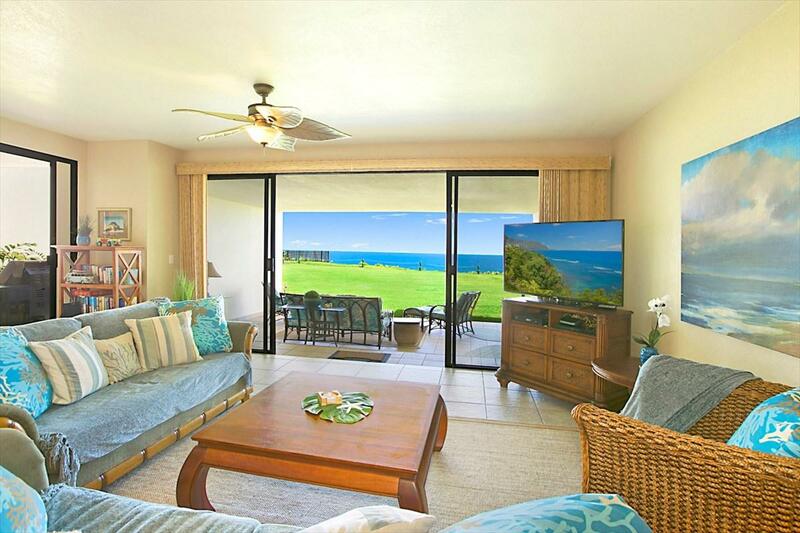 The outdoor living areas such as the lanai, grass lawn and pool are easily accessed through large sliding glass doors. Only the ground floor units (such as 102) have direct access to the lawn and gated pool area right out their back doors, which is super convenient and desirable. Besides easy access to the pool, lawn and bluff, the ground floor units are also much cooler. The walls of the building are built very solid with thick concrete for excellent sound-proofing. Need more living area in a condo? Well, Pu'u Po'a association offers the option to enclose either or both lanais which could add approximately 600 sf more living area. 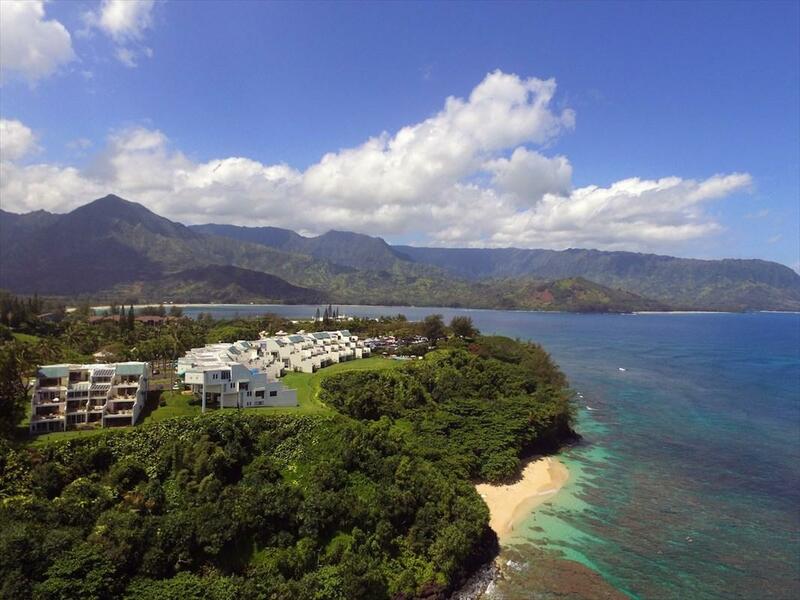 Puu Poa 102 is a successful, family-friendly, professionally managed vacation rental that sleeps 6+. Included with the sale are all furnishings, artwork, appliances, fixtures, linens, kitchenware, beach gear, future booking income, marketing collateral and more. Please contact a local REALTOR on how to obtain financial, booking and showing availability information. Minimum 24 hour notice is required to show as unit is usually occupied with vacationers or the owners.